Paul Coleman, Project Manager, updates us on the Folly project. 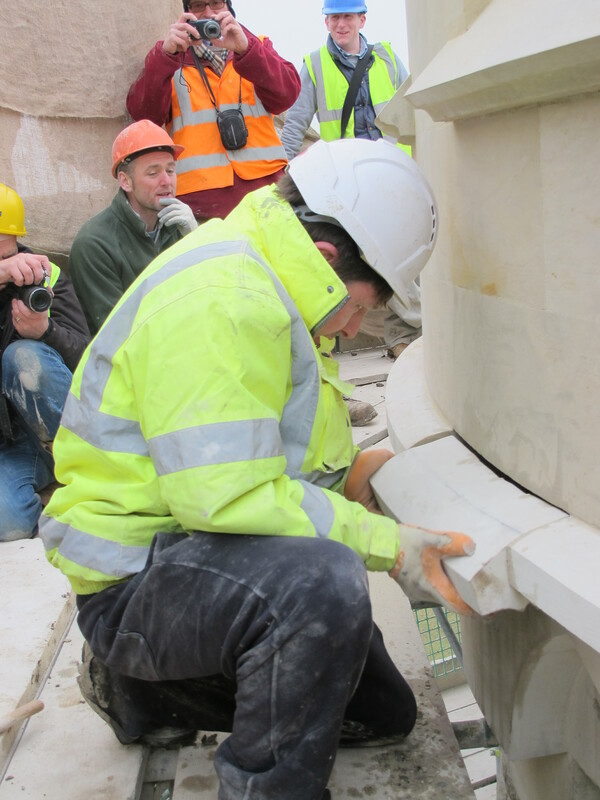 We’ve been celebrating at the Gothic Folly, bring together the craftsmen, consultants, National Trust advisors, staff, volunteers and sponsors who have all been involved so far in the project to mark the ‘topping out’ of the crenelations and the last stone inserted which marks the completion of this phase of works. But we’re not finished we have a few months work left on site, there is still lots to do but whilst its very cold we are encouraged to see the signs of spring as snowdrops poke up and trees come into bud. 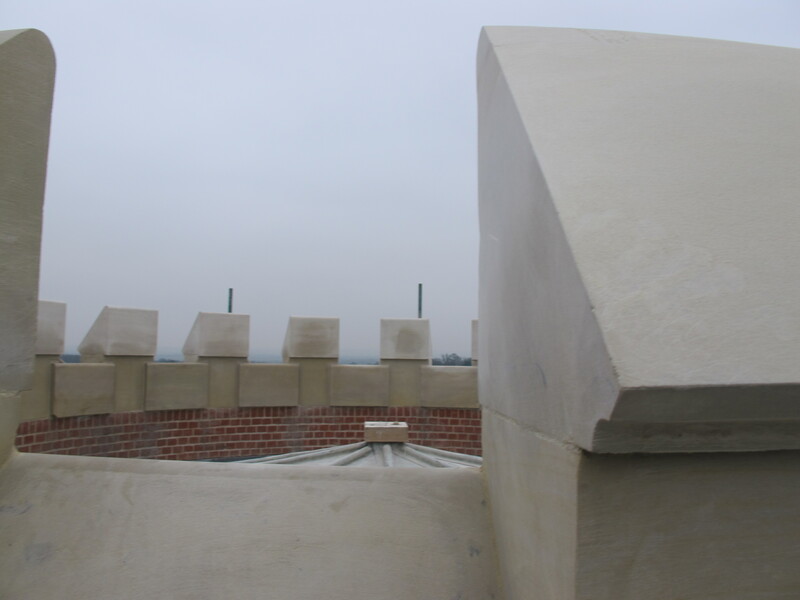 For centuries, builders have celebrated the moment the building structure reaches its topmost point. This tradition was originally there to bring good luck on the building and ward of evil spirits. This old age tradition of topping out , for many years involved a yew branch or sapling featured in the ceremony. So at the Folly we will have a legacy of our ceremony, we are looking at the landscape around the building to research and put in place the historic planting scheme and for the building to have a fitting back drop. 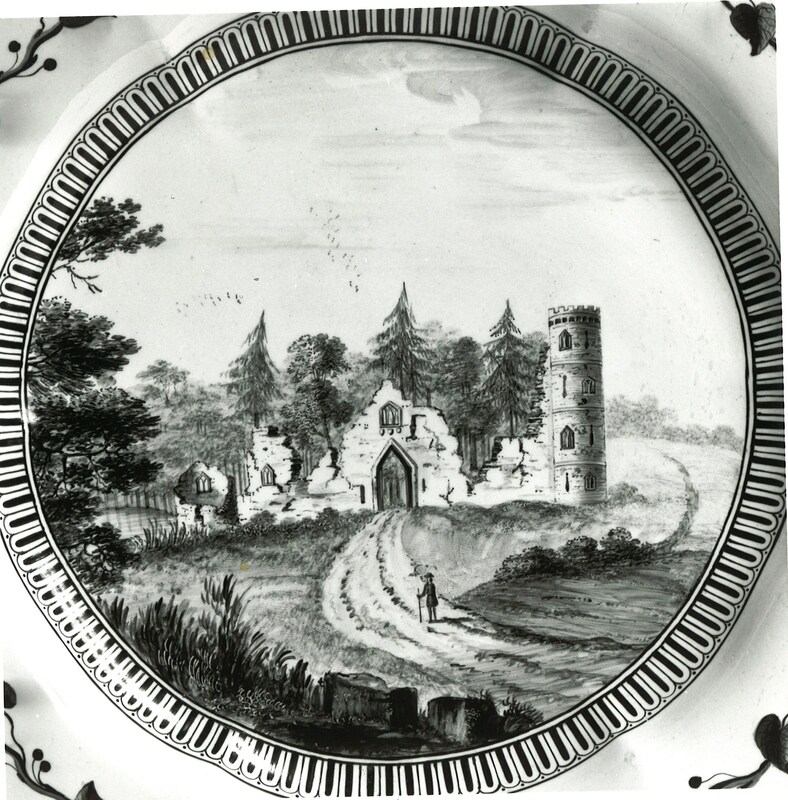 We know from historic documents – the pen and ink drawings from 1749, 1774 water colour and 1777 engravings that the Folly may have had a backdrop resembling a Fir tree plantation. This has long gone and we have an area of mixed species of self-sown trees which are encroaching on the views and this important area. The images resemble a fir or evergreen which had distinct drooping branches and the shape is very similar to that of a Deodar Cedar. The deodar cedar is one of three cedars found in the British Isles along with the Lebanon cedar (Cedrus libani) and the Atlas cedar (Cedrus atlantica), but its shape is very different from the others. 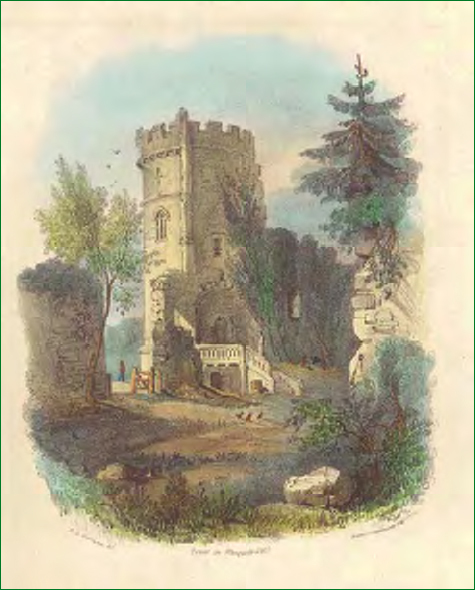 From a quick search we have information that the Deodars were introducing into Britain in 1831, Atlas in 1844 and Lebanon in 1638, however the Folly was conceived in 1749-51 and completed in 1772 – so are we looking at artistic license or from the Architect or Landscapers of that time being well travelled individuals who had seen these desirable species on their world wide travels ? However, I would like to think we are looking at the Deodar – as it has such a fitting history. The tree is the Himalayan “Tree of God”, comes from the Sanskrit word ‘devadaru’, which means ‘timber of the gods or divine wood’. The wood is fragrant and used to make incense, distilled into essential oil and is a disinfectant. The fragrance from the tree makes it insect repellent and due to its anti fungal and repellent properties has been used for making rooms for storage of meat and grain – but not at the Folly ! when the Game Keeper was in residence. It is alleged that in its native country sufferers of asthma or breathing problems are advised to sit under a Deodar tree in early morning. 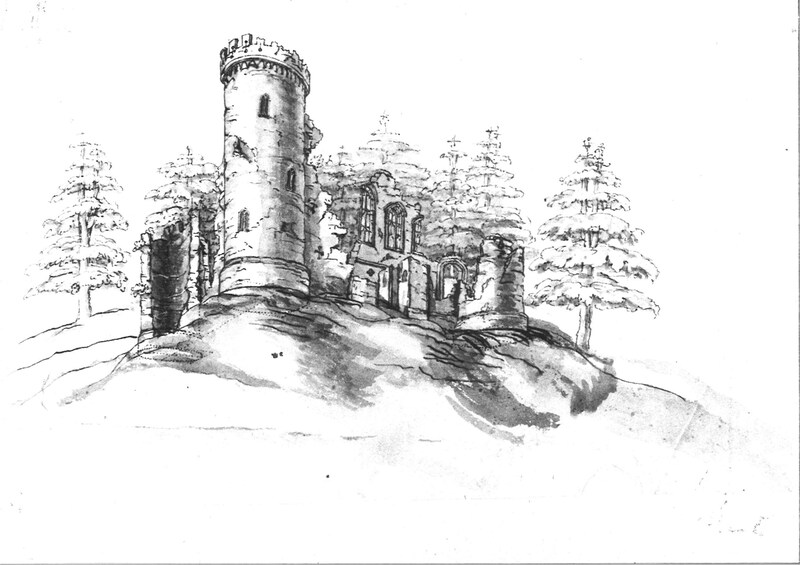 However what ever tree we decide to be planted, it will be a celebration of both the works but also making the Folly sit at the top of the hill with a stunning backdrop of evergreen and over the years we will see these stately conifers giving the historic character back to the building. So please give us your thoughts, any budding tree experts would be welcome to join the debate. 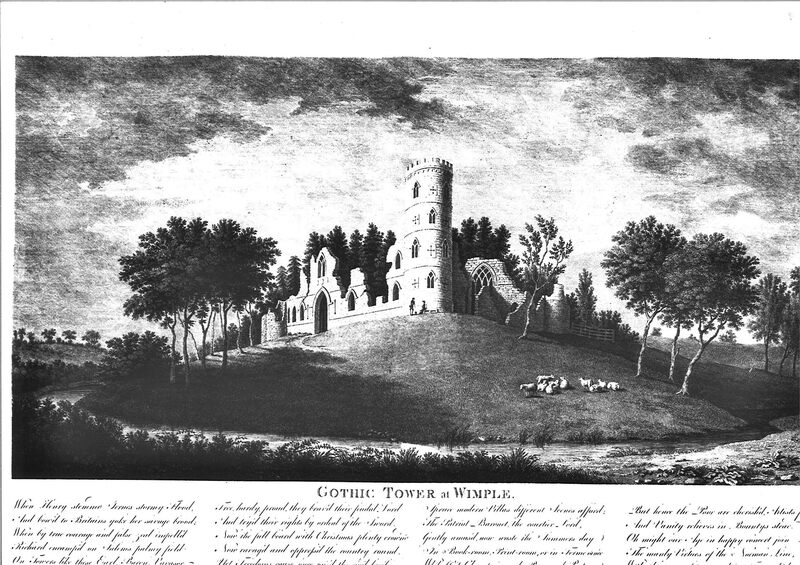 This entry was posted in Buildings, Conservation, Landscape and tagged conservation, Folly by ntwimpole. Bookmark the permalink.